While we sat on the primary polls recently, one of the male workers shared a rather unique recipe with me. Now I’ll share it with you. Make the cakes and cool. 1 16 oz. pkg. sandwich cookies in blender. Reserve ½ cup and color with green food color in mixer. 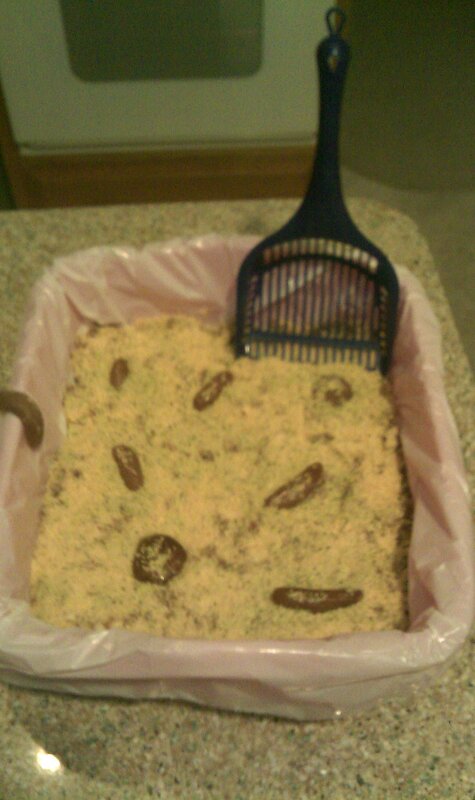 Sprinkle the green cookie crumbs. Unwrap 16 oz. of Tootsie Rolls and barely heat them in the microwave and pull the ends to a point. Shove in the mix. Make sure to put some of the tootsie rolls on top. Melt one more and flatten. Place on top.